Developed and published by ELEX Entertainment, Clash of Kings is ranked among the most downloaded apps on the planet for mobile devices, PC and Facebook. Clash of Kings was among the top nominees and shortlisted in the Best Games category for the first ever Google Play Awards that took place on May 19th. Clash of Kings is available in France, Spain and in the rest of the world for free and is available on a wide range of platforms such as PC, Facebook, iOS and Android. More than 50 million players have joined the Clash of Kings servers. 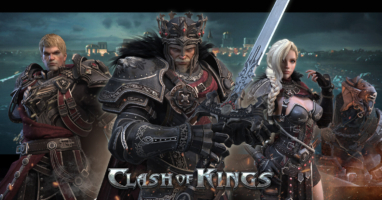 Clash of Kings is a real-time strategy game where players have to build up their cities, collect resources and join alliances to control a PVP fantasy world.